Alien incidents although still not very known with concrete eye witnesses and not generally accepted by the public as to their existence, their stories and abductions claims are still one of the most fascinating mysteries of the universe. If they really exist and would one day make themselves known to earthlings then it'll cancel all doubts about a lot things like alternate timelines, parallel universe, ultimate magic and entities. Like i said in my previous article about the Deverows, this one is about the John and Gloria Mann's family. 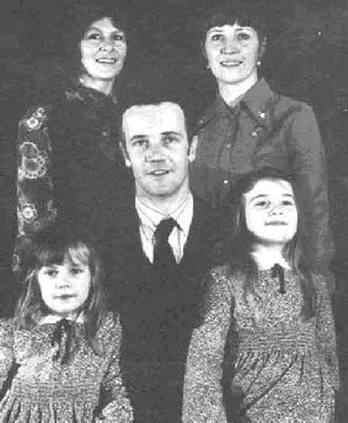 United kingdom, on the evening of 19th June 1978 The Mann's family was heading home, in the car was John and Gloria Mann, their two children and Aunt frances had a very bizzare experience. Driving through the road they always do and was very much familiar with After setting off for Brockworth at 9:30 pm from Reading, they were thirty minutes into their expected ninety-minute journey when they noticed an extremely bright light up front. After following it for while, John pulled over and came out of the car soon he started hearing a 'swishing' sound like train's wheel scratching the tracks without knowing ofcourse, he went into a trance only to be brought back to sense by his wife, Gloria calling him back to the car. On top speed as his hands touched the wheel, he suddenly realized he wasn't in control of the car anymore and they were on a strange road with zig zag from one way to the other, few minutes later they were already in Faringdon. They got home few hours after midnight and none of them could account for almost two hours of the time they were on the road. Few days later, they would find bruises, ugly rashes particularly behind their right knee. In the same period of time their young daughter, Natasha began having nightmares. They turned to Hypnotherapy by Geoffrey McCartney for hypnotic regression. They all gave very similar accounts even Natasha who wasn't hypnotized, they all said to have gotten out of the car walking through a mist and been directed by a strange craft leading them to columns of light. They said the strange beings they met spoke of their dying home planet and was looking for a new planet to live in, (most alien incidents claims all had this explanation of reasons for their abduction) in exchange for technology. They also spoke of travelling through portals to a mothership and later consumed a colourless fizzy drinks, perhaps to forget their encounter with them. All doctors and UFO investigators who worked on their case spoke of evidence, witnesses to be credible and not likely to be a made up story. So let me know what YOU think yourself, of this particularly "more- true-than-others" incident in the comment section.